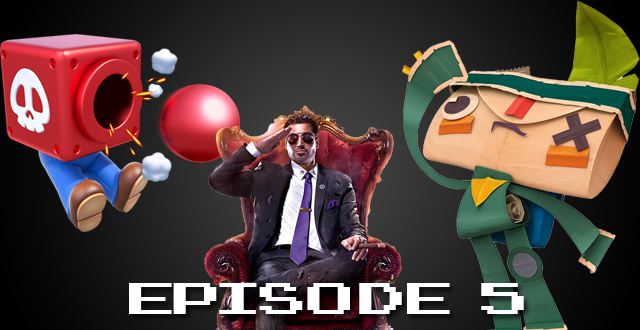 The Gamesmen, Episode 5 – Game of the Year 2013 | The Gamesmen- What role will YOU play? Join Amras89, Hardlydan, and Yoda the 3rd for game talk and fun! This time, The Gamesmen talk about theirs and others game of the year for 2013. Games discussed are Battlefield 4, Tearaway, Lego Marvel, Saint’s Row 4, Aliens Colonial Marines, Assassin’s Creed 4: Black Flag, Legend of Zelda: A Link Between Worlds, and Super Mario 3D World. Win a game by answering our Quest of the Week on Twitter, Facebook, or by E-mailing us! Games that you could win on Steam are Bioshock Infinite, DmC: Devil May Cry, Metro Last Light, Tomb Raider, or Brother’s – A Tale of Two Sons. You can also win a physical PAL version of Ni No Kuni for the PS3.